Learn to interact directly with people whose cultures and beliefs differ from yours. Discover completely new ideas from outside yourself, grapple with them, and create a new worldview. To communicate more creatively, you must move beyond yourself and learn to see what you could not see before. 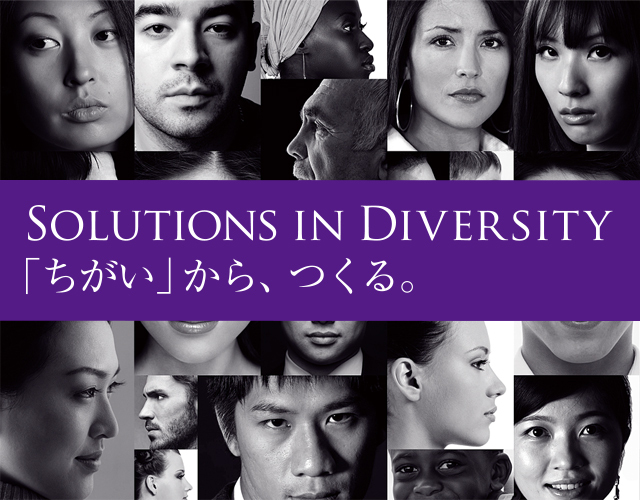 Diversity will teach you to co-create, and give you the power to dramatically change the world. First, you must find yourself. Then, you will be ready to learn how diversity can help you change the world. Work together with diverse people to discover the power to tackle global issues and create practical solutions to real-world problems. Learning the same things in exactly the same way as everyone else is a waste of precious time. To help you become a truly unique person in the world, different from the rest,there are things CIC wants you to learn ahead of more knowledge and skills. We want you to become a person who is always creating new value based on an accurate understanding of your immediate location and our intricately intertwined world. We want you to be able to identify changes in the times, and constantly update the skills you have learned. Come work toward that vision of the future as you learn with us. We want you to be a person who steps outside the confines of conformity and lives a step ahead of the crowd. A person who understands the true qualities of others, seeing but also seeing through their actions, feelings and cultural backgrounds. A person who has the co-creative capacity to work together with diverse people toward concrete solutions to real problems. We promise to teach you the attitudes and viewpoints you will need to become that type of person. Everyone has the latent desire to become someone else, and engages in the constant struggle to figure out what they can do to change their country and the world. If these desires are strong enough in you, we will help you master the knowledge and skills you need to act on them.